In this weeks episode we come off the back of March Break with limited new condo releases but a lot to look forward to. 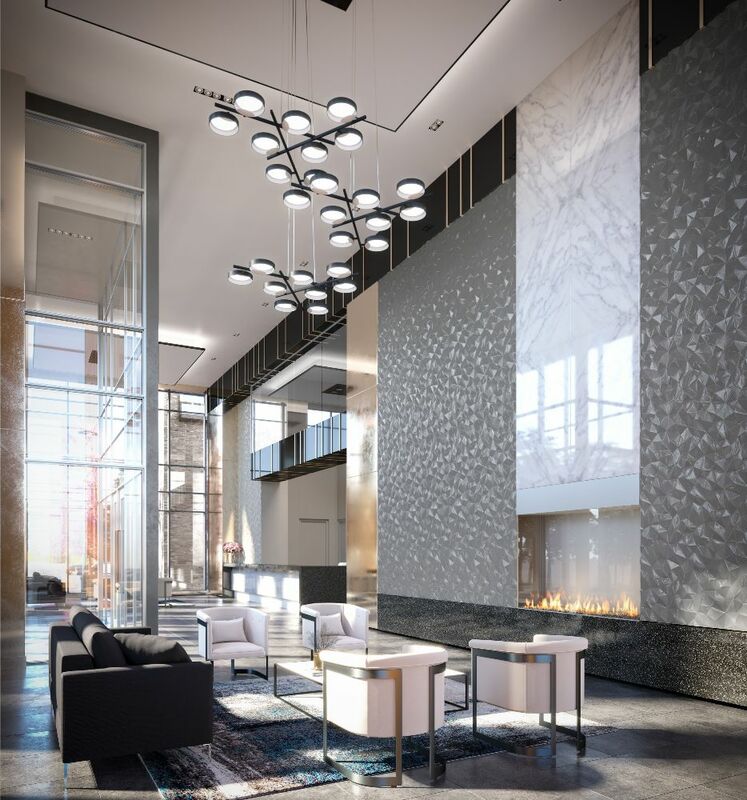 We’re excited about the launch of The Way Urban Towns and also share some new news for Lakeside Park Suites, 9th & Main, Empire Maverick, Empire Pheonix and more. Roy Bhandari: Welcome to another episode of the TalkCondo Release Radar, where every week we talk about all the latest new condominium’s and help you save thousands by getting first access to the best of the best. Again, a bit of a slower week in terms of new news, we’re just coming off March break. We’re going to talk about one specific launch and then drill down on a couple that we got some new information on. 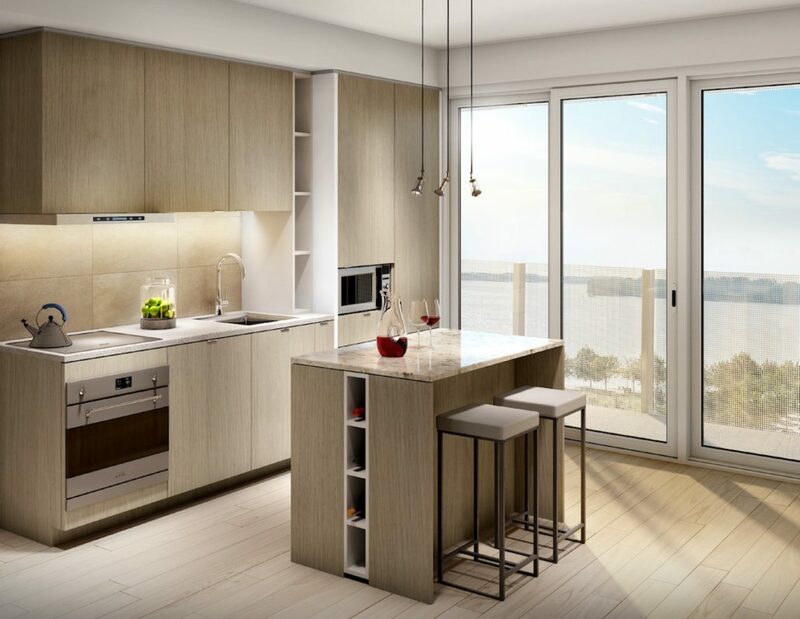 The first condo that launched last week, we talked about it last week, on last weeks episode. It’s The Way Urban Towns in Mississauga. Last week, me and you were at the launch, it was insane. Which is what we expected, we said last week that this neighbourhood’s been crying out for this kind of product. I want to talk about specifically about the product itself. Project itself, but also really hammer on the timelines because the timelines are really important here. Give us a run down on The Way. Roy Bhandari: Something new and fresh. Mike Santos: Yeah, they need something there, something to revitalize the area a bit. Something to tie the area together a bit. So these projects are really cool. Erin Mills and College Way is the main intersection, which outs you close to the 403, the QEW. You’re not that far from Erin Mills Town Center, Credit Valley Hospital, University of Toronto Mississauga, which is really big. Either from an investor or from an end user point, there’s tons of options here. Roy Bhandari: Well, I was going to say that because coming into this project, the assumption is that it’s all end user based. 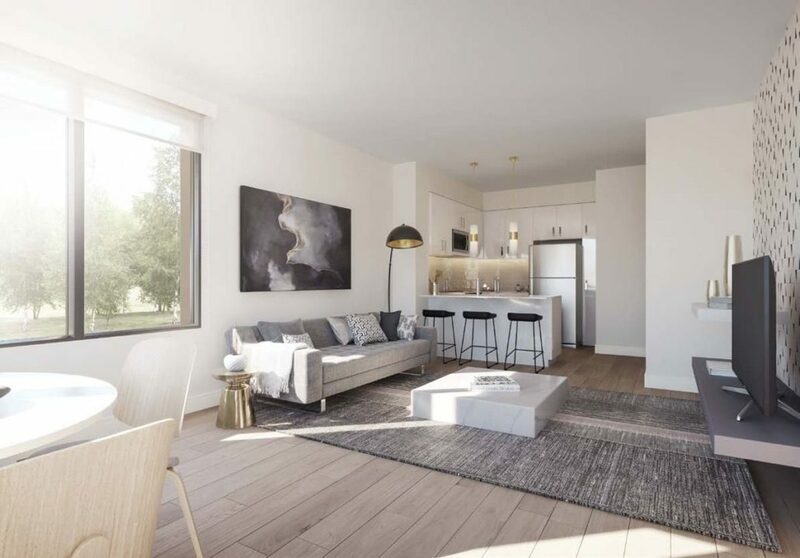 1,000 square foot units for the most part but we are seeing that interest from the investor who, like you said, few minutes from University of Toronto. Its quick access to all the highways. Mike Santos: So for anyone who’s not really familiar with the project. They’re two story, urban town homes. Roy Bhandari: So just give us a quick [crosstalk 00:02:24] of what that looks like. Mike Santos: We’re used to seeing these three unit town homes where you have sort of a basement floor, a main floor and then two story plus a roof top terrace. This one is different that there’s only two units and each one is two stories. Which makes it automatically way more attractive because you don’t have two units where you feel like your sandwiched between or you’re five feet underground. Where you’re not getting as much light in the unit, you don’t have any issues like that. Just from a design perspective, so this is designed by Metropia, who’ve done E and E2 condos. Roy Bhandari: Metropia are one of my favourite developers, they’re such a mature developer. They’ve got [crosstalk 00:03:06] everywhere [crosstalk 00:03:09] exhibit condos Avenue and Broad, E2, E1, they’ve got a very very mature. And Howard who’s been in the business for 30-40 years. Mike Santos: They are super nice, the design of it, sometimes you see some of these town homes and they look kind of blah after a little bit but these are really sharp. So, just to get into it. It’s a limited release of units, right now. 144 units total, between 960 to 1340 square feet. 2 bedroom, 2 bath. There are 3 bed options as well, if you’re looking for a third bedroom. Some of the features, one of the big things is the roof top terrace, which has really nice views. You have wood decking on there, which is really nice, privacy screens, that’s something that they put in, not really those huge big tall ones that kind of block everything off but just a smaller screen that goes around. To give you enough privacy without blocking the view. Roy Bhandari: It’s a really great feature, that rooftop. They’ve got a sample of it at the showroom and it looks really sharp. Mike Santos: It is sharp. 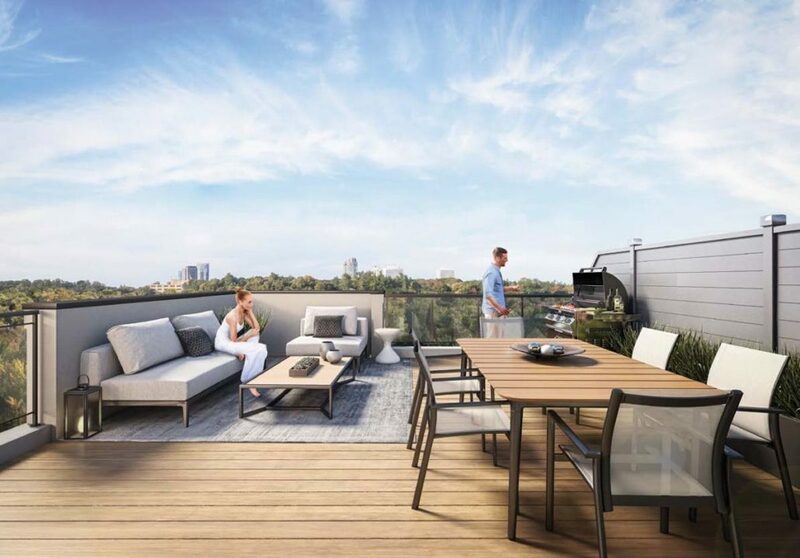 On top of that you have the gas barbecue, the connection, not just on the rooftop terrace but the lower units that have patios as well. So each and every patio and terrace has a connection there. Just to quickly get back to some off the other features about it. You’ve got a starting price of $554,900. That includes parking, as well and that puts it under $500 a square foot for a lot of these units. So we are talking about investors and end users. This is why investors are looking at this because under $500 a square foot is actually not that easy in any size of unit. Right? 2,000 square feet okay sure. $500 per square foot but that’s still not very easy to do. So in an area like this the price is actually good in terms of an investment as well. So it doesn’t just have to be an end user type project. I really wanted to drive that home because we had someone very interested who was looking as an investment and it makes sense. With the hospital in the area, with the University in the area. So that makes sense, and in terms of [inaudible 00:05:29] so if anybody is looking, they’re accepting worksheets, as we now speak. Roy Bhandari: Just to jump in here. So last week we did mention The Way on the episode and the people who registered last week, we’ve been in touch with them and they’ve had an opportunity to submit their worksheets. The worksheet deadline today, this video will go out on the Wednesday, the worksheet deadline is actually tomorrow, Thursday. If you’re interested in the project, please reach out as soon as possible. Also, I think this is a good time to mention that, if you’re interested in projects that you see. Register for them ahead of time, get on that list and you’ve got that a few days ahead of everybody else. Mike Santos: It’s a big difference, signing is on Saturday and worksheets are until tomorrow, Thursday. Amit Bhandari: The other bonus is if you are signing up ahead of time, we get any sort of whisper or any kind of information we always get it to you. If there’s any specific launch timelines or launch specific dates. Roy Bhandari: Perfect. Anything else to add on The Way or do you think we covered it? Mike Santos: I think that’s pretty good. I think people get an idea if they really want anymore information just contact us. Amit Bhandari: Watch the last two episodes as well. Roy Bhandari: Even in the last couple of episodes we talked about One Yonge. The reason I want to bring it up again is that, last week you mentioned a floor plan. You talked about a floor pan that you really liked the 08 model, which is [crosstalk 00:07:32] facing East. Couple of the clients did actually call us on that and were able to take advantage of that suite. You know we are getting to a point at One Yonge now where the availability is shrinking. 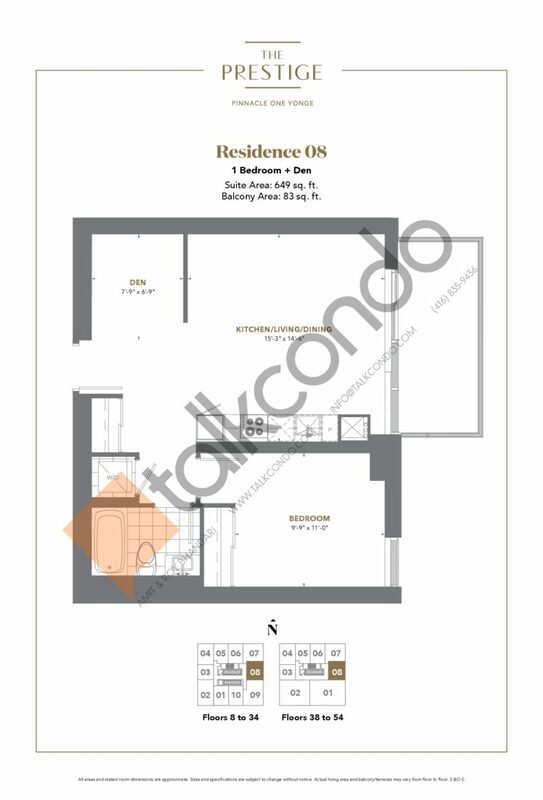 Those South units are not available, the corner units, the corner South units are not available, the 08 unit we’re now starting to get lower floor options, like the top units are all going [inaudible 00:07:53]. It’s one of those projects that we are getting towards sort of that end cycle. It is iconic project. It is a special project. Is there anything you wanted to add on One Yonge? Amit Bhandari: Beyond what I’ve already said, I don’t think so. 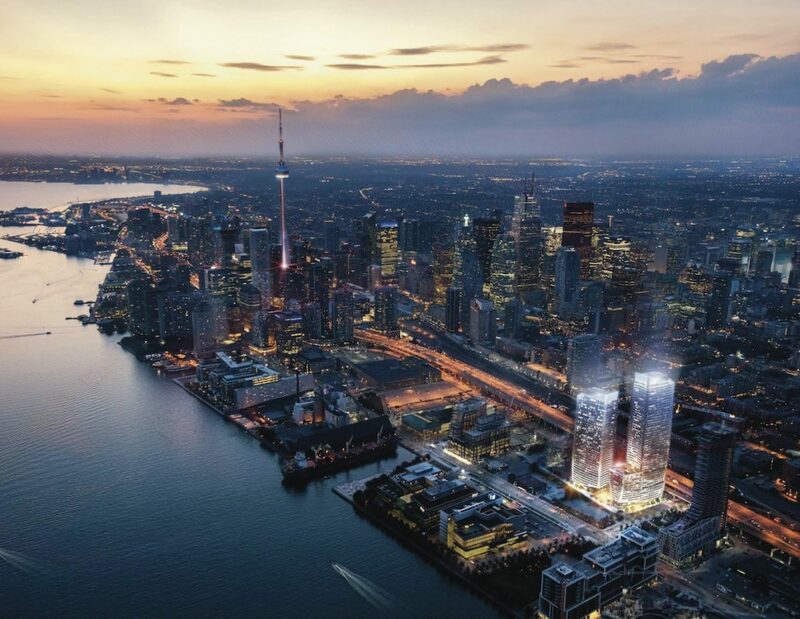 Just to shoot off some bullet point as to why we really really really love One Yonge is it’s as you said, it’s iconic, it’s going to change the skyline, along with other developments in and around that neighbourhood. The neighbourhood is rapidly changing there’s a lot of emphasis on jobs and retail and office. The building itself is going to be 65 stories as part of a 3 tower development. Multi-faceted, multi-phased, there’s going to be a retail component within the building itself. There’s a 50,000 square foot community center, that’s city rack. It won’t won’t affect your maintenance fees. 100,000 square foot of total amenity space. There’s going to be a Path connection. Just like the other [inaudible 00:08:52] I could go on and on and on. You still have very very good opportunity to purchase at platinum pricing. That’s something we have to emphasize. That if you are interested in this development and there’s a lot more to come in this neighbourhood, there’s a lot more. Future developments that ultimately will be there will be a big difference in price. Roy Bhandari: And what’s important here is that the price has been set. The next developer is not going to go backwards, [crosstalk 00:09:22] it’s only going to go forward. 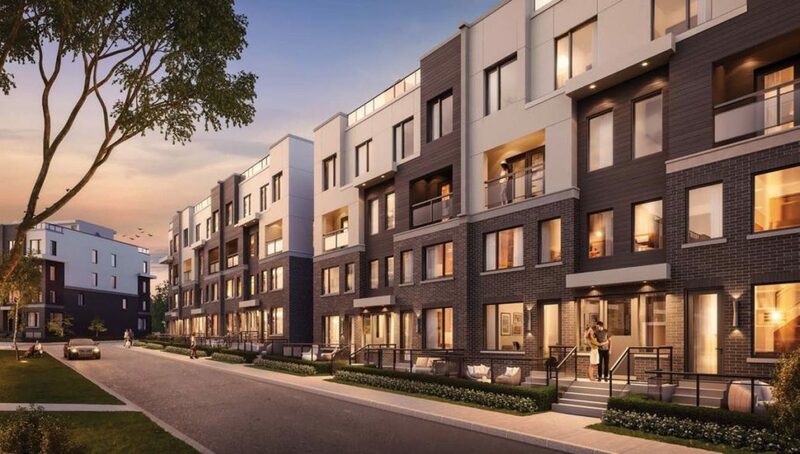 Amit Bhandari: There’s a lot more residences coming into this neighbourhood and I just feel that this is just a very good opportunity to get into a fantastic development. 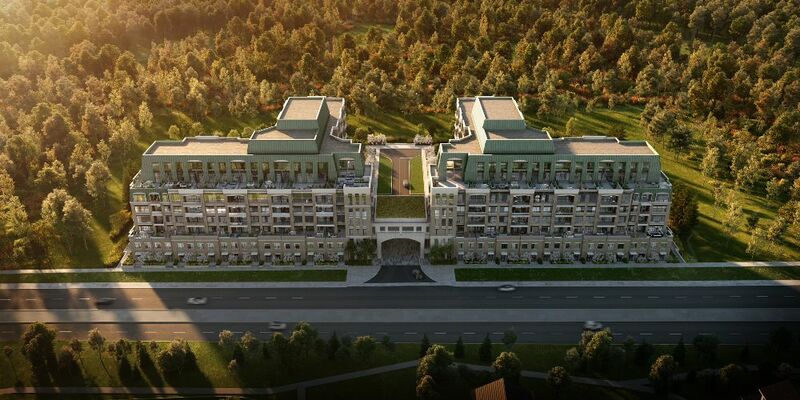 Developed by one of the biggest developers in Canada, at platinum pricing. Mike Santos: In an area that’s going to explode, [crosstalk 00:09:48] there and then go out into the East [inaudible 00:09:50] as well. Roy Bhandari: So that’s a nice transition. Like I said this week there’s not a lot of new condo launches. It’s basically limited to The Way and One Yonge so the next area that we’re going to focus on is the projects that are in the pipeline. Again, not a ton of new information on a lot of the projects since last week but we did get some new details on a couple of new ones. The first one I want to talk about is sort of connected to [inaudible 00:10:22] the Lakeside Park Suites. For those of you how aren’t familiar with sort of how Lakeside launched, this is the 3rd release of the 1st phase. So if your listening to this on the podcast, there will be a link in the show notes where you can download an overview of exactly what we’re talking about. You can get a sense of exactly what we’re talking about. Mike Santos: Its own building. Roy Bhandari: The lower floors suites but the price points were cheaper, they were a little bit smaller, more investor friendly and that batch basically sold out in a day. First weekend it was up it sold out. The 2nd release, is the Sky Suites, [crosstalk 00:11:01] the tower itself. 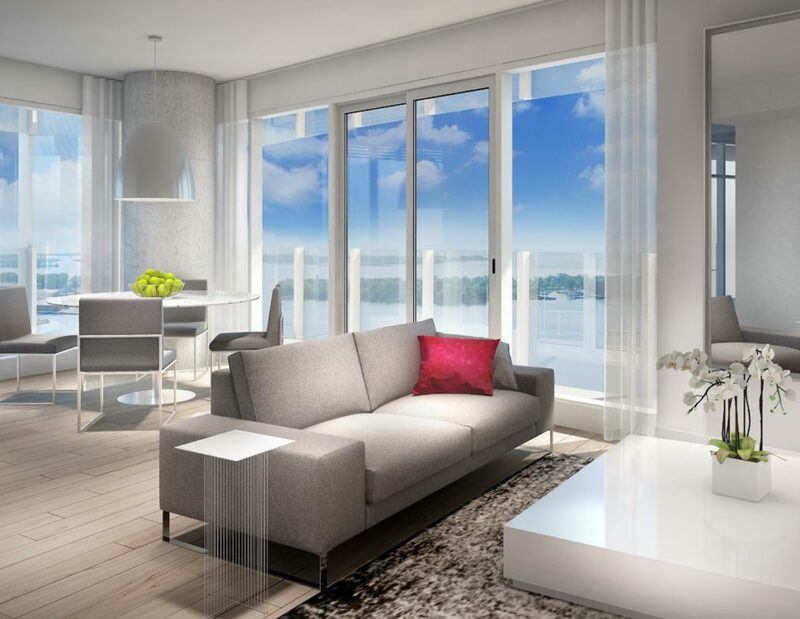 It’s the higher floor with the amazing views of Lake Ontario and the skyline. That one is now at about 80% sold and the remaining suites are your largest suites, your 3 bedroom. 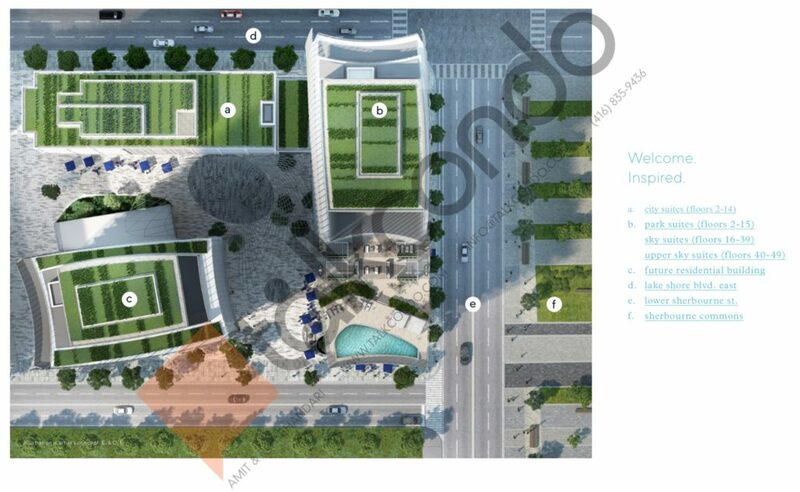 So now what’s coming up is the Park Suites, very similar to the City Suites except the key difference here is it’s going to run along the Sherbourne Common Park. The views are going to be overlooking the park, towards Monde, towards the lake at the angle. We’re really excited about this, we expect a similar response to Park Suites as we did the 1st release, which was City Suites, which sold out in that first few days. Give us a quick run down on the new information, that we got over the last few days. Amit Bhandari: The new information, the information is pretty scarce at this point. What we do know is the Park Suites will run from Floor 2 to Floor 15 of that podium. So just to give a, like I mentioned a couple of episodes ago, the podium is basically like this L-shape and the Park City portion is the one the running alongside lower [inaudible 00:12:05]. So, like you said it’s the one running along the Northern portion of Sherbourne Common Park. So it’s going to be floors 2 to 15 beyond that we don’t really have any additional information. Roy Bhandari: We expect a lot of similar. It is still part of the Lakeside project we expect a lot of similarities on official floor plans. Mike Santos: Features and finishes are going to be. Amit Bhandari: There going to be the same. Very high end, very nice finishes. Greenland is the developer, they’re probably one of the biggest developers they’re a Fortune 500 company. I expect the same thing here. So, we’re expecting this one to go fast, similar to City Suites and the reason we want to emphasize this one now is, if you’re interested get on the priority list. Make sure you’re one of the first people to know about this one. The key thing I want to talk about here and really emphasize here is the level of demand for this kind of project. Downtown, supply as been really really tight. Really any new product downtown. When something does come to market it’s getting absorbed very very quickly. So we really want to emphasize that. Amit Bhandari: There’s only limited number of suites. Roy Bhandari: Very limited actually. Amit Bhandari: Even in new releases as well [crosstalk 00:13:18]. So that’s why it goes so quick. Roy Bhandari: We’ll dive into the project. We’ll dive into [crosstalk 00:13:29]. The neighbourhood, we can spend on hour on the neighbourhood alone but we’re going to do a really big deep dive on that. It’s going to be coming soon so please keep an eye out for that. Roy Bhandari: Thursday the 22nd, tomorrow. Amit Bhandari: So hopefully, I have been told expect something mid-April but we’ll see hopefully we’ll get something concrete more towards the end of March, I’m hoping. Roy Bhandari: This is a two or three week… we’re going to have all the information is sort of the time frame we’re expecting give or take a week. Yeah, really excited about the Lakeside Park Suites. The next one is a little bit of a departure because it’s outside of the immediate area. This is up in Stouffville. 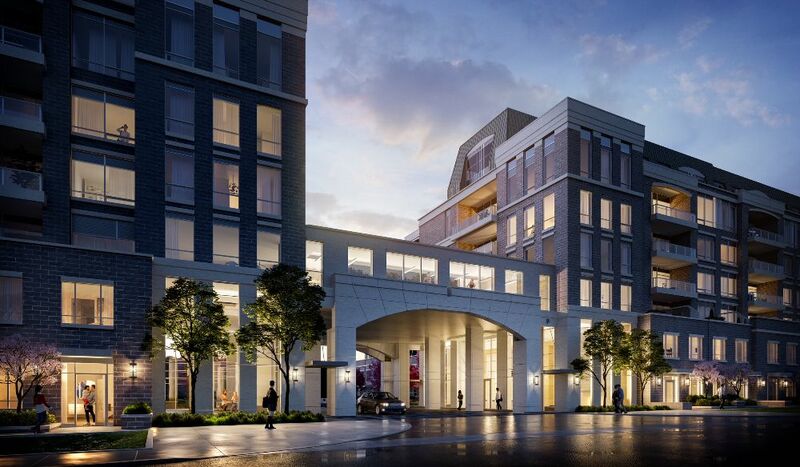 This is project called 9th & Main by a developer that we’re very familiar with, we’ve talked about on this podcast [inaudible 00:14:23] radar a number of times and that is Pemberton Group. So to give a quick overview of 9th and main. Mike Santos: Yes, 9th & Main condos you’re going to be on 9th line about 2-3 minute drive from Main Street. The big thing here is that Main Street has the Stouffville Go Station. 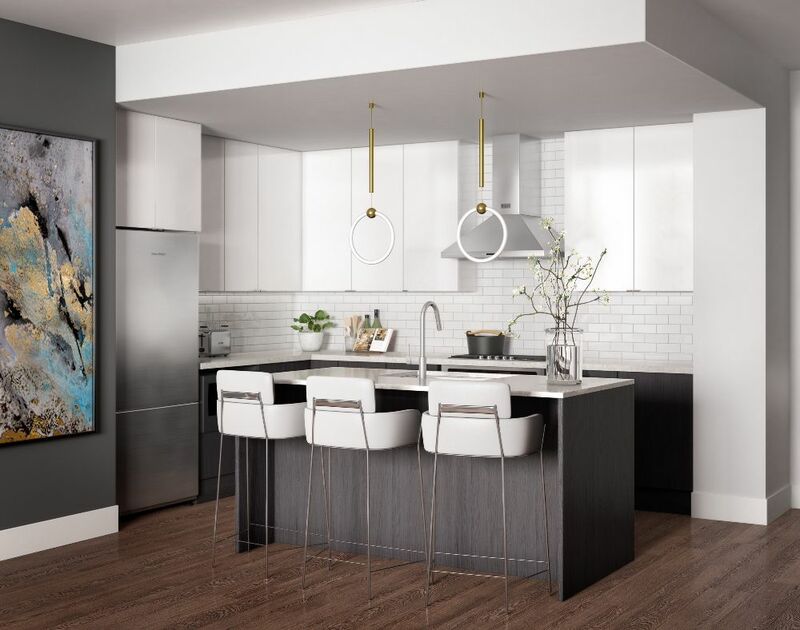 If you’re looking for that condo lifestyle either as an investor, you’re looking to put something into the area where you live or you’re working downtown or you’re downsizing. These are going to be super super sharp, like I’ve already see the renderings. They’re actually really, really nice. There not ones you usually say, sometimes those L side of the core projects are not always like..
Roy Bhandari: Value engineer, value engineer. Mike Santos: Yeah right how much in the design is fantastic. I don’t usually go on about stuff like that but I was really really impressed. 8 stories, it’s not a 40 story monster or anything..
Roy Bhandari: There’s not going to build that kind of product in Stouffville. Mike Santos: It’s 8 stories, 212 units in total. There’s going to be 2 different towers that are going to be connected. 34 town homes as well if you’re looking for something a little bit larger. They are as large as 2200 square feet, in these buildings. So really big end user stuff if you want it but as low as 630 square feet, so even those 1 beds are going to be a good size for people that are kind of worried about, size. Now it’s not in Toronto but you’re right by the Go station and the Go station is expanding. They’re putting 250 million dollars into the Stouffville line so it’s not this Podunk little station. Roy Bhandari: Stouffville’s been an area were traditionally large houses, large lots. So this is a great entry point to this kind of condo product, which we don’t see a lot. Which we’d love to see this urban development in these kinds of areas. Again, we are seeing these areas like Stouffville and [inaudible 00:16:30] that are booming because of affordability ultimately right? People are going to these areas because they’re getting more square footage for their money. So we are seeing that more and more and more. One of the other things that stood out from the renderings was, just the greenery that surrounds this product. Mike Santos: It’s just…in behind that area is all residential but separated by just like, not forest but a really arborous area. Super nice. Just out the renderings, if we have some up, they’re fantastic. Roy Bhandari: And again if you’re listening to this on the podcast, we will have a link to this in the show notes and you can check that out. Mike Santos: It’s all parking, so this is included. So this is perfect first-timer, downsizer or investor looking to break into the market. 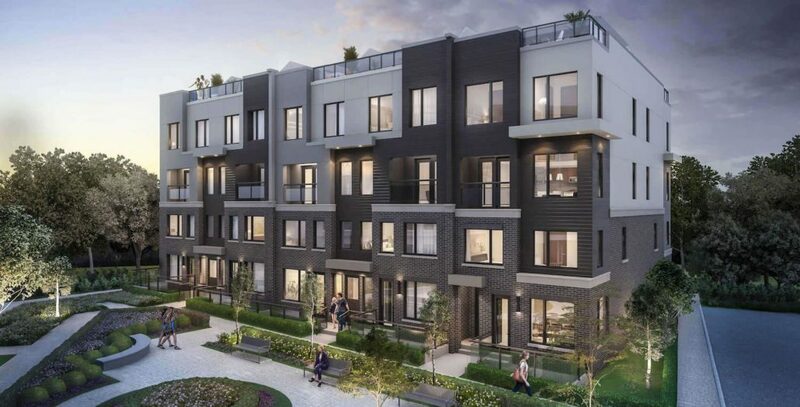 Amit Bhandari: Even people who live in Stouffville who are perhaps in a larger home and want to downsize or children of families who lives there. Roy Bhandari: We said they go up 2200 square feet so they’re definitely going to have that product of people who want the condo lifestyle. They don’t want to cut grass, they don’t want to shovel the driveways. Mike Santos: In this area, like we talked about The Way, it’s screaming out for this kind of product. Not everybody wants to be in a town home or a detached home. At a certain point in time they want to downsize but there’s nothing in Stouffville for them. Roy Bhandari: It’s also downsizing but also upgrading your lifestyle right? You’ve got more time, you’ve got the gym in the building. 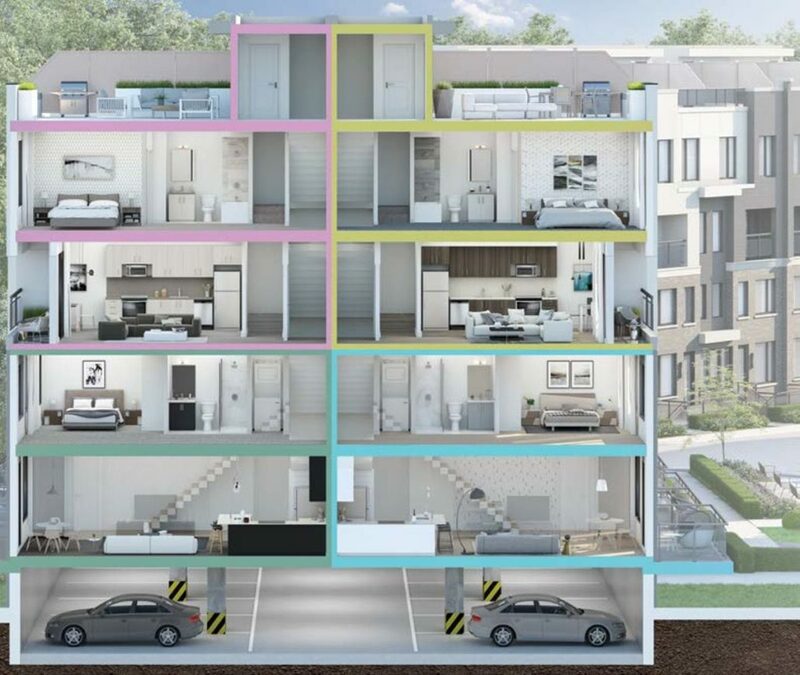 You’ve got all this access to amenity within in the building and it’s… In a way you may be downsizing in square footage, you hear a lot people are upgrading in lifestyle. Mike Santos: Sure, you give yourself way more time and your right in, I suppose, the heart of Stouffville. You’re right by Main Street. I think it’s a super cool project for that area. I’m excited about it and again Pemberton built so you know it’s going to be [inaudible 00:18:17]. Roy Bhandari: Just another example of Pemberton having their finger in every city, Mississauga..
Mike Santos: They know the heart beat of every city, they just know [crosstalk 00:18:27] That’s why I’m really excited about this one. Empire Maverick is, in terms of launch time frames, we’re a little bit early. We’re expecting a sort of end of May, June timeframe. The reason I want to bring this up now is because last week we had a chance to sit down with Dan Floman from Empire and we got some cool little insights about the project. That we’re really excited about and just want to share. Empire Maverick just to give the quick run down is located at King & John. It’s going to be replacing Restaurant Row, which is a really important part of that neighbourhood. It’s going to front right onto King Street where the [inaudible 00:19:13] red carpet is the Toronto Film Festival, red carpet goes. It’s going to 48 stories? Roy Bhandari: 47 stories, only 325 units. So it’s a small plate. Not a lot of units per floor. He gave us a couple of interesting tidbits on the direction that he’s taking with the building. Amit Bhandari: It’s really cool. Dan Floman is a very well traveled individual. He’s been in this industry for many many years. Roy Bhandari: One of the most respected guys in Toronto. Roy Bhandari: Really emphasized New York. Amit Bhandari: He really emphasized New York. The whole idea of concierge, how we would imagine a concierge is. The way he said it was in Toronto it’s basically a guy at the front with the security badge, on his shirt right? What he was wanting to achieve here was someone who is well and truly a proper concierge. Roy Bhandari: Like you would think in a hotel, a [crosstalk 00:20:18] the white gloves. Amit Bhandari: That’s one of the things. So there will be an individual that will be opening the front door. The doorman. There will be a doorman but somebody else there’s another individual that he wants to have in this building and he’s dubbed them the social architect. Now what that person will do is, everything for you. So you call this person, your in your condo, you call this person you say, “I want to book concert tickets”, for example. And they’ll get that job done for you. Roy Bhandari: Exactly like you would think in a…[crosstalk 00:20:47] a concierge. A concierge at a hotel. Amit Bhandari: Well and true concierge, oh I want to book tickets for a movie. They’ll get that done for you. Roy Bhandari: So what’s great about this is that we’ve talked about this neighbourhood evolving into this new, younger, Yorkville. Yorkville is classic luxury, this area is cotemporary luxury and this is what the new sort of young professional who works, works on Bay Street. These are the kind of things that are really really speaking to. Amit Bhandari: Absolutely, the other thing is. This kind of project, that kind of concept suits this neighbourhood to a T. Especially because as King Street as a whole evolves the importance of King Street from an economic standpoint, from the standpoint of retail, transit and everything else that’s happening in and along King Street. This little stretch… I remember Dan, specifically mentioned the red carpet as well. This is going to be a very very cool building. Once again it’s going to be only 325 suites, 47 stories, we’re expecting completion 2022. Timeline wise, like you said, we are still early. Roy Bhandari: We’re early but we got some interesting information [crosstalk 00:22:00] and we wanted to share. Amit Bhandari: Very interesting information that… We’re really really excited to share especially that Social Architect because I don’t think we’ve really seen that, in a condo, condominium building in downtown Toronto. So let’s see if they become the pioneers and we’ll see this a lot more often. Roy Bhandari: For sure. In the meeting with Dan he also touched on another project that’s he’s going to be launching, again similar timeframe, we’re a little bit early but we did get some, get a little bit of information, We just wanted to share that very quickly. It’s Empire Phoenix and Phoenix is down in Mimico area, so we, they’ve built in that area, they’re building right now 2 of the tallest buildings at Eau Du Soleil, so 64 stories and 46 at the Etobicoke waterfront. So this is an area that they know very well, this one will also be coming in a similar time frame as Maverick. Stay tuned. We’re definitely going to be following those a lot. [crosstalk 00:22:57] as we get close. So the next six or seven projects are ones that we really talked about over the last couple of weeks. There’s not a lot of new information we just want to touch on each one, very very quickly, 10-15 seconds on each. 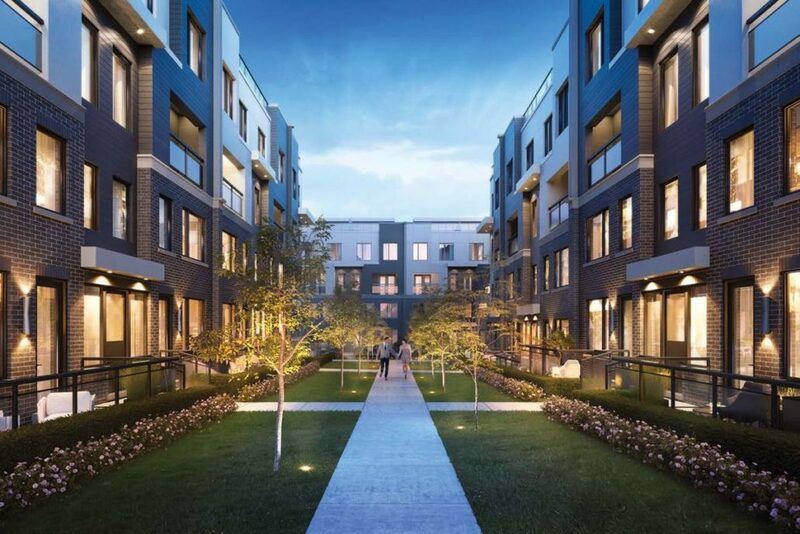 The first one is M2M Condominiums by Young and Finch, [inaudible 00:23:14] timeframe we’re still expecting sort of end of April, early May is the go time for that and again when we get more information we are definitely going to be sharing that. Uovo Condominiums, Young and Davisville it’s a project a lot, boutique project, 60 odd units and again timeframe, sometime in April but we don’t have any firm time frames just yet. The next two are the Menkes Development projects. Sugar Wharf and in.DE, we are expecting them in the Spring. We have no firm timeframes again. Amit Bhandari: But they are coming! Roy Bhandari: They are coming, they’re definitely coming. 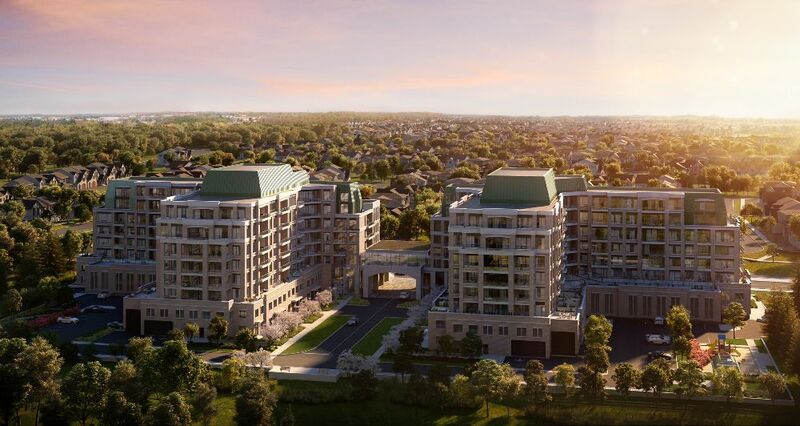 Finally, the last couple are Playground, which is the second phase at Garrison Point and DuEast Boutique at Regent Park and when we get more information on these we’re going to do big deep dives. For now that’s everything, we are very very excited to bring The Way to you and Parkside, Lakeside Park Suites. Stay tuned, that one is going to be coming very soon.